Your Grodan Starter plugs, Mini-Blocks™ and Gro-Blocks™ have finally found a home. This durable Dutch tray has double-sided features. Use the 78-cell side to perfectly fit 1.5” A-OK Starter™ plugs or round Macroplugs™. Use the mesh side for sheets of A-OK’s, Mini-Blocks, or Gro-Blocks. 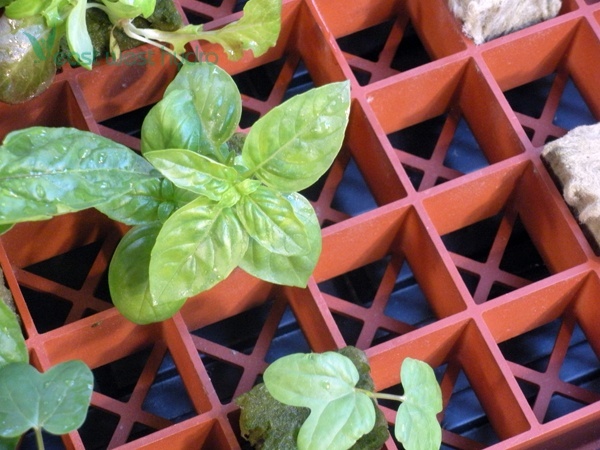 The tray fits in a standard 10x20 flat and keeps the Grodan elevated from the bottom of the flat. Easily sanitize as any hard-plastic product; even dish-washer safe! 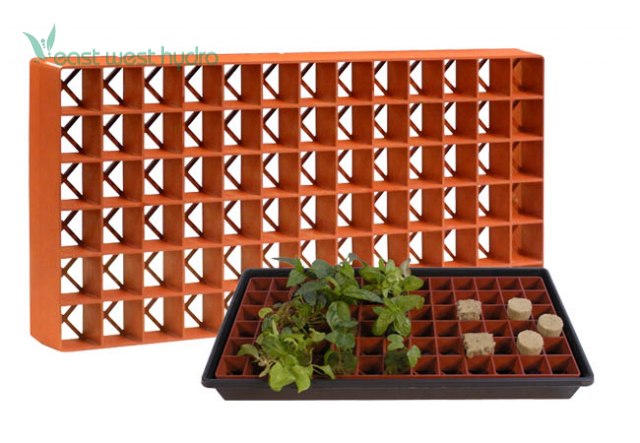 This terra-cotta colored tray was designed by Grodan and is exclusively manufactured for the Grodan company. Dimensions: 20in. × 10in. × 3.5in. This product must be ordered in sets of 20.